Enjoy the benefits of ownership without the overhead and costs of regulatory compliance. Take your aircraft for extended cross-country trips that might not be possible with a rental plane. Owners simply book their airplane on a priority basis for either short flights or extended cross-country trips. Genesis frees the owner from the responsibilities and time of managing the airplane, while maintaining it to the highest commercial standard of flight readiness through the Genesis Aircraft Management Program. Genesis Flight College has chosen the Diamond DA40 as the best platform for pilots of all experience levels. The DA40 is an all-around practical, versatile, multi-use, four-seat airplane for the 21st century. 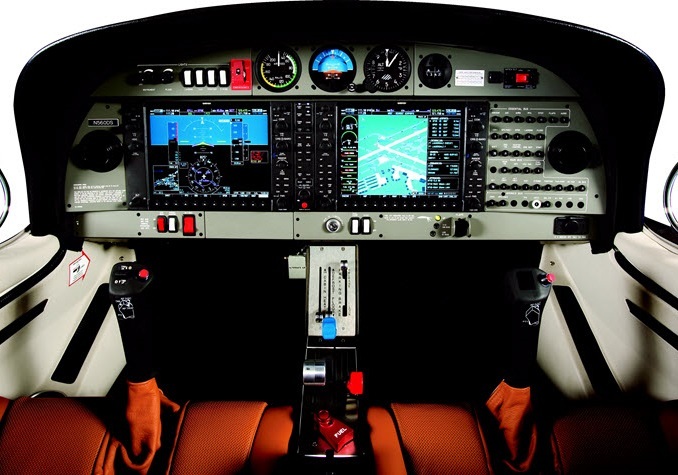 The DA40 offers a unique blend of practicality, performance, and value. The Diamond DA40 Leaseback provides new and experienced pilots with the ability to own a modern and fully equipped airplane without the costs of ownership. With a modern, all-composite airframe, proven Lycoming piston engine and the industry-leading Garmin G1000, the DA40 combines a blend of modern airframe and avionics with the venerable Lycoming IO360, arguably the most reliable AVGAS engine of all time. The DA40 delivers performance, handling, high-quality finish, luxurious interior, thoughtful details and comfort features that make the DA40 such a pleasure to fly. Leaseback owners benefit from the ramp appeal, reliability and low overall lifecycle cost. “The Genesis Leaseback Program is an incredible value. Having participated in the program for the past year, I’ve been able to train for my IFR rating in my own airplane and take extended cross country trips with my family, with the costs completely offset by rental income. The Genesis Aircraft Management Program has provided me with all of the benefits of owning an airplane, but with the same convenience as renting. The Genesis Aircraft Management Program is built to eliminate the time an owner needs to spend on managing their aircraft. Genesis leverages its expertise in managing a fleet of Diamond aircraft to ensure an owner’s plane is maintained to the highest standard. The general idea of a leaseback is simple; the owner leases the aircraft to an operator and receives rental income. A well-structured lease should ensure overall costs of ownership are reduced or eliminated, while still making the aircraft available for the owner. The leaseback concept was originated in the corporate jet world, where companies make their aircraft available for rental when not being used. The model continues to work well and is also successful with small aircraft like the DA40. With a leaseback, Genesis Flight College helps facilitate the purchase of a 10 to 15-year-old DA40, leveraging our experience with the DA40, its manufacturer (Diamond Aircraft), and our extensive relationships with the DA40 community to find the right plane at the right price. The typical used 2005-2010 DA40 will be between $300,000 and $375,000 CND. Financing up to 50% is typically available for qualified buyers from financial institutions. Factors affecting the price will include USD exchange, age, flight hours, equipment and time before overhaul of the engine and propeller. The Genesis Leaseback provides owners with 50% of the revenue from the aircraft rental. You will receive $110/hour for every hour the aircraft is rented when you are not using it. The rental payments can be used to offset the cost of maintenance and overhead, such as insurance and hangar rental. A benefit of the Genesis Leaseback program over private ownership is your fixed costs can be offset by Leaseback revenue. Maintenance costs average $50/hour. Fuel is paid by Genesis. Other costs paid for by the owner include insurance and indoor hanger storage. A typical private owner flying only 50 hours per year might be effectively paying $400-$600/hour, while a leaseback owner’s cost per hour can be significantly less due to the sharing of the rental revenue when not in use by the owner. Genesis Leaseback owners are provided with the ability to book their plane for extended periods for holidays and cross-country trips at the discounted hourly rate of $60/flying hour, to cover fuel costs. *An engine typically requires a major overhaul every 2,000 hours. Our approved maintenance program can significantly extend the life of your engine. Genesis provides Leaseback owners with extended overhaul intervals based on our approved maintenance program. Rental income is based on hours rented to qualified pilots.